This exhibition attempts to show the second kind of book: the book that tells a story about its authors, its owners, and its users. Occasionally, the story is found within the main portion of the text, but it is also found in the paratext: in the wine stains on a Passover Haggadah, in the candle wax in a prayer book, or in an odd notation on a title page or in a colophon. On a journey through the exhibit, it is our hope that visitors will find at least one story that inspires, intrigues, or ignites the imagination. Many different kinds of academic scholars are represented in the collection, and three are highlighted here. Linguists are featured prominently, and many manuscripts of Hebrew grammar can be found on Columbia's shelves. Another group of scholars were Christian Hebraists, Christians who felt it was important to study the Bible in its original Hebrew, either for academic or missionizing purposes. The third kind of scholar, the student, represents the whole group, as true scholars constantly seek to learn and gain knowledge. This case depicts the various people involved with the physical books. Binders, censors, and collectors are represented here. From the Biblical midwives up to the present day, Jews have always been involved in medicine. This case shows some examples of Jewish medicine from the medieval and early modern periods. The Karaite sect of Judaism began around the ninth century. It is characterized by its emphasis on Scripture, and its rejection of the rabbinic oral tradition (which is based in the Talmud). The manuscripts below were written by or about Karaite Jews. 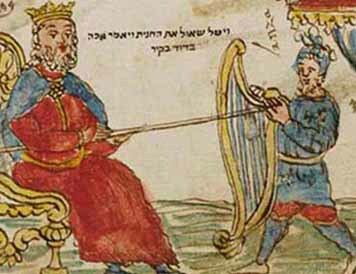 Jewish law and tradition has a very strong connection to time. Months, and therefore holidays, were determined by the cycles of the moon (the calendar was ultimately fixed into a 19 year cycle), and a day is broken down into equally portioned “hours” between dawn and dusk. Time is a major subject of discussion in the manuscripts below. Birth, coming of age, marriage and death - all of these are milestones of the Jewish life-cycle, and all are represented by manuscripts in Columbia’s collection. The Jewish community has always been the center of Jewish life and culture. Whether dealing with internal communal crises, such as plague or flood, or matters relating to their rulers and neighbors, many texts were written to describe how communities dealt with various events. The physical center of religious life within the Jewish community was the synagogue. Customs, along with prayers, varied from city to city, although some basic aspects of congregations remained constant throughout the world. The Wandering Jew motif is familiar to many, and the Jews did indeed travel throughout the years, due to persecution, livelihood, pilgrimage to the Holy Land, or sometimes, pure wanderlust. There are over 200 kabbalistic manuscripts in Columbia’s collections, with over 20 written before the period of the “new Kabbalah” in the sixteenth century, represented by Isaac Luria Ashkenazi of Safed and his students. As authors and interpreters of Jewish law, rabbis have for centuries been an integral part of the Jewish community. Shown here are examples of rabbinic works as well as some more personal aspects of the rabbinic experience. This group is represented by three different kinds of people. The first, actors, displayed their art on the living stage. The second group was philosophers, who studied the theories and mysteries of the universe. The third group depicted here are poets, whose literary works, in this case, were based on Jewish texts. Jewish literature runs a wide gamut, from the religious, to the philosophical, to the mystical, to the purely whimsical. The items shown here are either autograph manuscripts or manuscripts that depict an aspect of the writing process.